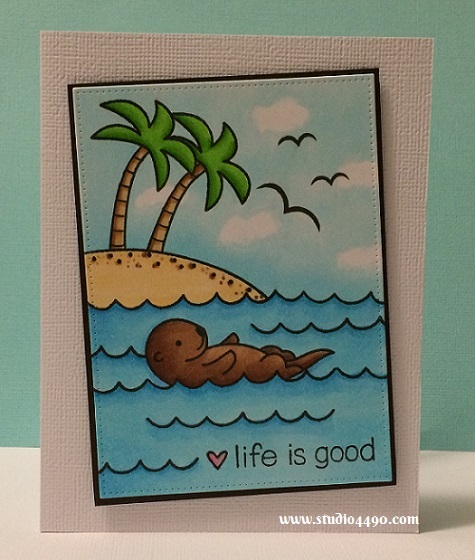 Materials used: Stamps – Life is Good, Year Five (Lawn Fawn); Dies – Pierced Rectangle Stax (MFT); Cardstock – Knights Smooth, American Crafts; and Copic Markers. I couldn’t just stop at one card though as it was just too much fun to colour. I made another card which was almost identical to the one above so I won’t share that one. I then decided I wanted to spice the card up a little more. Materials used: Stamps – Life is Good, Year Five (Lawn Fawn); Dies – Die-namics Blueprints 13, Pierced Rectangle Stax (MFT); Cardstock – Knights Smooth, Doodlebug Design; Designer Paper – Sunkissed (Doodlebug Design), Twine (Stampin’ Up!) and Copic Markers. Materials used: Stamps – Life is Good, Year Five (Lawn Fawn); Dies – Die-namics Blueprints 13, Pierced Rectangle Stax (MFT); Cardstock – Knights Smooth, American Crafts; Designer Paper – Sunkissed (Doodlebug Design), and Copic Markers. I had so much fun creating these cards and I really hope you enjoy them too. I had recorded a video to go with this post but it went a little wonky. Hopefully I will have another video to share soon. Thanks so much for stopping by today! If you are interested in the supplies I have used to create my projects, I have linked to some of them here. Disclaimer: I have signed up for an affiliate program with scrapbook.com but will only link to products I actually use and like. They have not asked me to use or promote any products. I will also make them less intrusive (when I work out how!). Another trio of darling otters! Life must be good for Mr. Otter, because it looks like he found himself a girl friend in the second *grin* and look where the little heart is…nice emphasis on “is”! I’m marveling at your fussy cutting, which is something I’m not particularly adept at doing. Bring on the dies, I say! 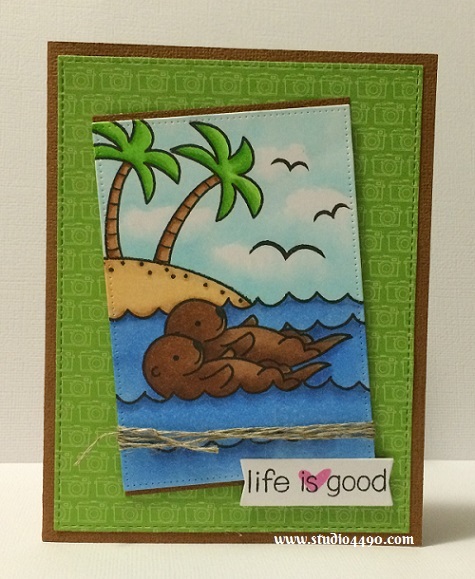 Carry on crushing over the otters; you create magic with the playful little critters! 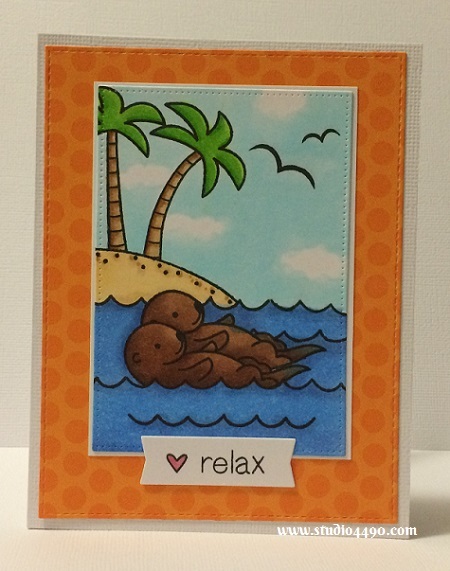 I’m totally crushing on the otter stamp. You can probably tell. lol I never used to like fussy cutting and now I do it allll the time. Was good to mix it up a bit. Masking is pretty fun too and I bet you would knock any effort out of the park! Thanks for the lovely compliments too! hugs!